Evelyn Katz is 10 years old and lives in California. 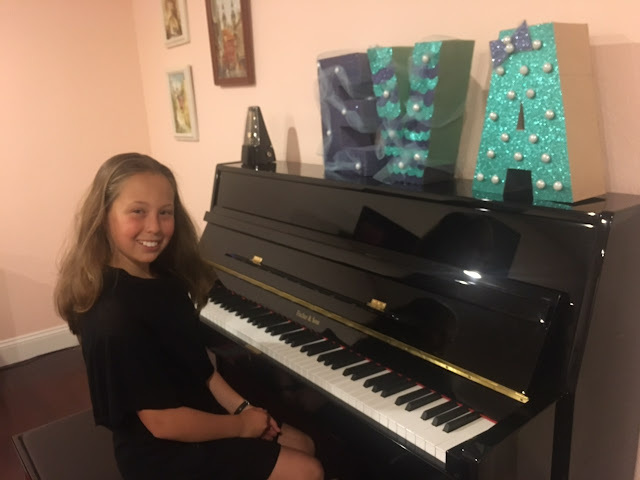 She has been playing piano since she was 7 with her teacher, Ms. Eleanor Livitz. She was a 1st place winner in 2017, 2018 & 2019 Baroque Contests. When she is not practicing piano, Evelyn enjoys dancing ballet.